Holidays in the Algarve. The Algarve is a very popular destination for golfers, families and couples alike. Algarve’s beaches, arguably the best of Europe, are renowned by their long stretches of gold and silver soft sand. The villages of a predominant fishing nature are colorful and picturesque. Algarve holidays boasts excellent hotels and exquisite Villas with private pools. 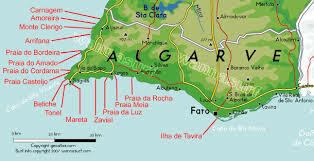 The Algarve sits at the far south of Portugal and enjoys a wonderful climate with over 300 days of sunshine. The summer is warm with water temperatures of up to 24 Celsius winters are very pleasant with an average of 20-24 Celsius. The coastline boasts over 100 sandy beaches stretching from east to west. Algarve holidays are holidays to love and remember. Algarve holidays. For the sea, sun, golf and food lovers. The Algarve offers holidaymakers a fantastic coastline. It’s beaches feature beautiful limestone cliffs and white sandy beaches. Over 150 miles of coast spreading from Cape St. Vincent in the west to Vila Real de Santo Antonio is the east, this coastline has been carefully developed, and now offers a myriad of resorts which use to be small fishing villages and now offer delightful villas with private pool, plenty of restaurants and bars, with some still retaining a their traditional look and feel of the typical narrow cobbled streets, and white-washed houses with the traditional Algarvian chimneys. Algarve holidays are also for the livelier holidaymakers. 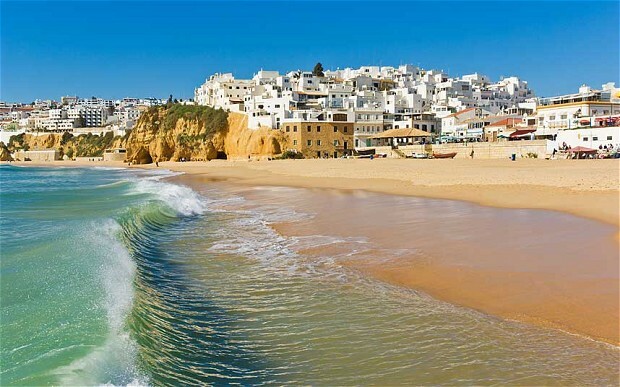 With plenty of nightlife, the resort of Albufeira is well known for its bars, clubs and English-style restaurants. Other resorts nearby Albufeira, that are very sought after for their fantastic beaches are Praia da Oura, Acoteias or Praia de Falesia. If you like golf, then the resorts of Vilamoura, Vale do lobo and Quinta do Lago will offer you some of the best golfing courses in the world.